In this fast-paced, modern society, Information Technology (IT) has become an indispensable part of operations for any company wishing to stay current in the market place. However, with such a wide variety of IT equipment and rental solutions on offer and without access to the right expertise and advice, companies of all sizes, but particularly SMEs, naturally find it daunting to make the right choices for their respective business. IT issues which arise are simply frustrating and disruptive, thus reducing productivity. Expenditure may be incurred in the short-term on IT equipment that is unlikely to meet the organisation’s needs in the longer term. Rather than purchase new systems outright, one increasingly popular option is to rent IT equipment. 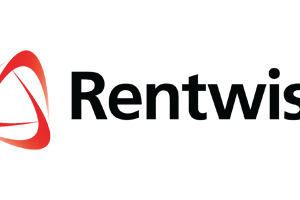 Established nine years ago, IT rental specialist Rentwise – an SME itself – helps companies with the right product selection, installation, support and consultancy and eventual decommissioning and retirement of the equipment, enabling them to focus on their core business for greater performance and progress. And the scope is expanding. Demand in the early years was predominantly in the rental of desktops and laptops. “We have been aware for some time however that there is a significant demand from our existing clients for servers and network equipment. Over the past year, we have been building the expertise and gearing up to launch our server and network equipment rental offering. This year, we are going all out with these new offerings and with our desktops and laptops rental, we are now able to offer a comprehensive IT rental solution,” says Leanne. Realising the criticality of IT infrastructure management in an organisation, Rentwise also offers an IT infrastructure monitoring solution on top of its current asset management service which very much caters to laptops and desktops. According to Rafel, this solution immediately flags up IT infrastructure issues minimising downtime and any knock-on effect on the business. The solution includes complete monitoring and alerting for servers, switches, applications and services. Rentwise currently supports over 200 companies with major clients in manufacturing, construction, education and healthcare. “Our mission has always been to provide a cost-effective, comprehensive and hassle-free experience for our customers. We realize to do this we have to offer an end-to-end service from deployment and installation to retiring the equipment. In between we provide service support and consultancy. This means Rentwise will take care of all stages in the equipment lifecycle leaving our customer to focus on the usage of the equipment. Our business model is based on adequate technology, which means prescribing customers what they truly need – not too much nor too little, which prevents unnecessary expenditure,” adds Leanne. Working with global suppliers, the company offers products that are brand-new, open-box but unused right through to 3-year-old equipment which is fully refurbished – not just aesthetically but including motherboards and major components such as hard drives and RAM. End-of-Lease equipment is either refurbished or put into the market in fully functioning condition. Where End-of-Lease equipment is too old, it is recycled by DOE (Department of Environment)-authorized recyclers with recovery reaching close to 100 percent, thus minimising carbon footprint. Besides Malaysia, Rentwise also has operations in Singapore and will be offering its new range of products there. “We also have clients in Vietnam and Thailand. As we plan to expand to these countries in the next two years, launching these new products and services this year in Malaysia will serve as a good preparation ground,” highlights Leanne.